A solicitor & notary public of England and Wales, Robert specialises in intellectual property law, advising businesses, large or small, on identifying, protecting and commercialising their intellectual property assets. His work encompasses IT contracts, outsourcing, internet law, media and general commercial. His particular areas of specialist knowledge include legal issues for the computer games and digital media sectors, data protection and information security. Chambers 2011 note Robert as having “taught every lawyer something about computers." Robert has specialised in data privacy since 1983 and as an Ambassador for Privacy by Design is at the forefront of privacy in business. He founded The i in online in 2009 which provides data protection training and carries out research into children's attitudes to online privacy. 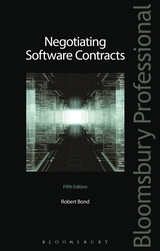 Robert is widely published and is the author of seven books, including most recently Negotiating International Software Licences and Data Transfer Agreements published by Sweet & Maxwell. Robert is a Companion of the British Computer Society, a Fellow of the Society of Advanced Legal Studies and in 1994 was a researcher in Information Security law at the University of Leicester. He is chairman of the ICC (UK) Digital Economy Committee. He is a Liveryman of the Worshipful Company of Stationers & Newspaper Makers and also of the City of London Solicitor's Company. He is a member of the American Bar Association, the Society of Corporate Compliance & Ethics and the Notaries Society.